BUCCO BOB, 3 BIG !! ASSONANZA - BIS BREEDING GROUP!! BEETOWEN with BRIXI 3 BEST COUPLE!! 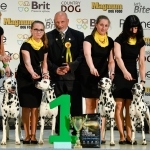 ASSONANZA – BIS BREEDING GROUP of all breed saturday !! 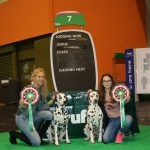 BEETOWEN with BRIXI DI ASSONANZA – 3 BEST COUPLE of all breed saturday !! 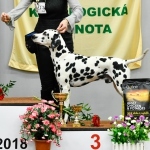 BUCCO DI ASSONANZA - Exc 1, CAC, CACIB, CAC CMKU, BOB, 3 BIG and he is NEW “ CHAMPION of CZECH REPUBLIC “ and NEW “ CHAMPION of CMKU “. BEETOWEN DI ASSONANZA BOB, 3 BIG!! 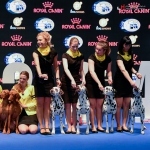 BUCCO DI ASSONANZA (cl.mid limit, entry 10 males) – FIRST PRIZE !! !